Thank you for voting in the November 6 election! See Needham election results according to precinct on the Town Clerk’s Official Tally Sheet. 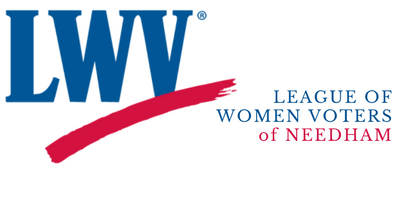 LWV-Needham has assembled information from the Needham Town Clerk’s and Secretary of the Commonwealth’s websites. The Town Clerk and the Secretary of the Commonwealth are the primary sources for information on voting and elections. Am I registered? Affiliated with a party? What will Needham voters be voting on? See the Needham specimen ballots. Early Voting ended on November 2, 2018. Apply for an absentee ballot from the city or town where you are registered using the Absentee Ballot Application Form (a family member may apply for you). Once the Absentee Ballot is received, complete the Ballot and return it to the city or town where you are registered to vote. Download the Absentee Ballot Application. See page 2 for full instructions. A person confined to a correctional facility or jail for reasons other than felony conviction. If you are applying for a ballot and voting by mail, plan ahead. Request the ballot as soon as possible and return it well in advance of election day, November 6. Applications for absentee ballots must be received by noon of the day before the election, Monday, November 5. Completed absentee ballots must be received by the close of polls (8:00 pm) on Election Day. Questions about Absentee Voting for Needham voters should be directed to the Needham Town Clerk’s Office 781-455-7500, ext. 216, 218, 219, 252. I need to register to vote, what do I do? The registration deadline for the November 6 election was Wednesday, October 17. Online through the Secretary of the Commonwealth’s website. You must have a Massachusetts driver’s license or ID to register online. In person by October 17 at the Needham Town Clerk’s Office. There will be a special voter registration session at the Town Clerk’s Office from 9 a.m. to 8 p.m. on October 17 at Needham Town Hall 1471 Highland Ave. Needham, MA 02492. Mail in using this form. Mail or deliver to Needham Town Clerk, Needham Town Hall 1471 Highland Ave. Needham, MA 02492.